E502MA-XX0027T Ноутбук ASUS E502MA (E502MA-XX0027T) 15.6', HD (1366 х 768), Intel Celeron N2940 (1.83 ГГц), 4 ГБ, 500 ГБ, Intel HD, No ODD, Bluetooth, Wi-Fi, Gigabit Ethernet, Windows 10 Home, 2 cell, 1.86 кг, Blue 12 мес. 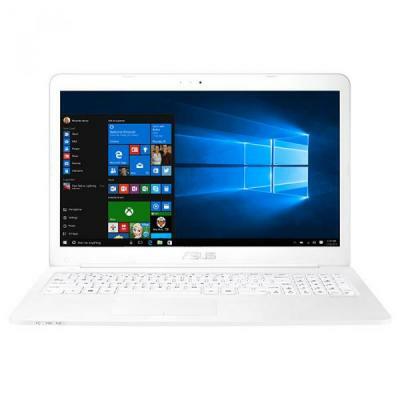 E502NA-DM013 Ноутбук ASUS E502MA (E502NA-DM013) 15.6', FullHD (1920 х 1080), Intel Celeron N3350 (up to 2.4 ГГц), 4 ГБ, 500 ГБ, Intel HD Graphics, No ODD, Bluetooth, Wi-Fi, LAN (RJ-45), Endless OS, 2 cell, 1.65 кг, White 12 мес. 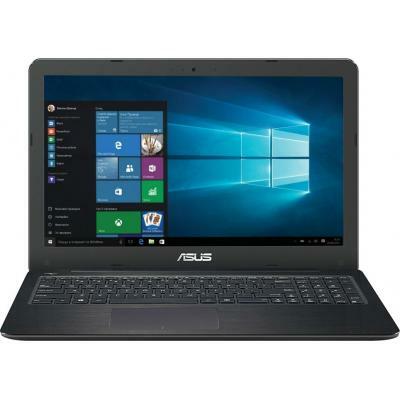 E502NA-DM014T Ноутбук ASUS E502NA (E502NA-DM014T) 15.6', FullHD (1920 х 1080), Intel Pentium N4200 (up to 2.5 ГГц), 4 ГБ, 500 ГБ, Intel HD, No ODD, Bluetooth, Wi-Fi, LAN (RJ-45), Windows 10, 2 cell, 1.65 кг, White 12 мес. E502NA-DM016 Ноутбук ASUS E502MA (E502NA-DM016) 15.6', FullHD (1920 х 1080), Intel Celeron N3350 (up to 2.4 ГГц), 4 ГБ, 500 ГБ, Intel HD Graphics, No ODD, Bluetooth, Wi-Fi, LAN (RJ-45), Endless OS, 2 cell, 1.65 кг, Blue 12 мес. 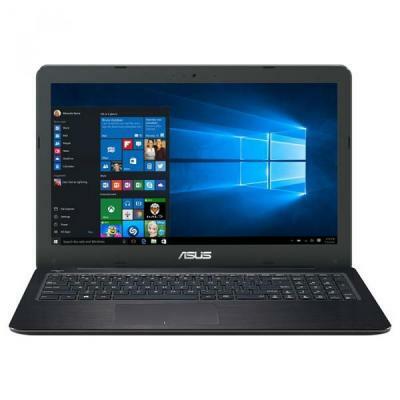 E502NA-DM017 Ноутбук ASUS E502NA (E502NA-DM017) 15.6', FullHD (1920 х 1080), Intel Pentium N4200 (up to 2.5 ГГц), 4 ГБ, 500 ГБ, Intel HD, No ODD, Bluetooth, Wi-Fi, LAN (RJ-45), Endless OS, 2 cell, 1.65 кг, Blue 12 мес. E502NA-DM017T Ноутбук ASUS E502NA (E502NA-DM017T) 15.6', FullHD (1920 х 1080), Intel Pentium N4200 (up to 2.5 ГГц), 4 ГБ, 500 ГБ, Intel HD, No ODD, Bluetooth, Wi-Fi, LAN (RJ-45), Windows 10, 2 cell, 1.65 кг, Blue 12 мес. E502NA-DM018T Ноутбук ASUS E502NA (E502NA-DM018T) 15.6', FullHD (1920 х 1080), Intel Pentium N4200 (up to 2.5 ГГц), 4 ГБ, 1 ТБ, Intel HD, No ODD, Bluetooth, Wi-Fi, LAN (RJ-45), Windows 10, 2 cell, 1.65 кг, Blue 12 мес. 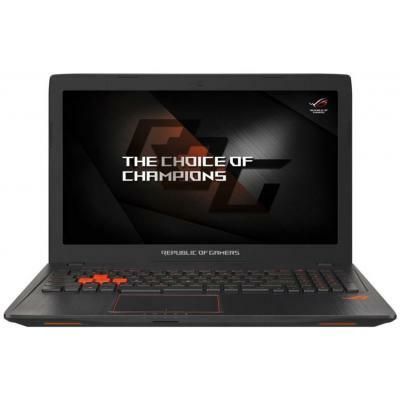 FX502VD-FY012T Ноутбук ASUS FX502VD (FX502VD-FY012T) 15.6', FullHD (1920 х 1080), IPS, Intel Core i5-7300HQ (2.5-3.5GHz), 8 ГБ, 1 ТБ, 128 ГБ, NVIDIA GeForce GTX 1050, 4 ГБ, No ODD, Bluetooth, Wi-Fi, Gigabit Ethernet, Windows 10, 4 cell, 2.2 кг, Black 12 мес. FX503VD-E4082 Ноутбук ASUS FX503VD (FX503VD-E4082) 15.6', FullHD (1920 х 1080), Intel Core i5-7300HQ (2.5-3.5GHz), 8 ГБ, 1 ТБ, NVIDIA GeForce GTX 1050, 4 ГБ, No ODD, Bluetooth, Wi-Fi, LAN (RJ-45), Endless OS, 4 cell, 2.5 кг, Black 12 мес. FX503VD-E4150 Ноутбук ASUS FX503VD (FX503VD-E4150) 15.6', FullHD (1920 х 1080), IPS, Intel Core i5-7300HQ (2.5-3.5GHz), 8 ГБ, отсутствует, 256 ГБ, NVIDIA GeForce GTX 1050, 4 ГБ, No ODD, Bluetooth, Wi-Fi, LAN (RJ-45), без операционной системы, 4 cell, 2.5 12 мес. FX503VM-E4037 Ноутбук ASUS FX503VM (FX503VM-E4037) 15.6', FullHD (1920 х 1080), Intel Core i5-7300HQ (2.5-3.5GHz), 8 ГБ, 1 ТБ, 8 ГБ, NVIDIA Geforce GTX 1060, 3 ГБ, No ODD, Bluetooth, Wi-Fi, Gigabit Ethernet, Endless OS, 4 cell, 2.5 кг, Black 12 мес. FX503VM-E4178T Ноутбук ASUS FX503VM (FX503VM-E4178T) 15.6', FullHD (1920 х 1080), Intel Core i5-7300HQ (2.5-3.5GHz), 8 ГБ, 1 ТБ, 128 ГБ, NVIDIA Geforce GTX 1060, 3 ГБ, н.д., Wi-Fi, LAN (RJ-45), Windows 10 Home, 4 cell, 2.5 кг, Black 12 мес. 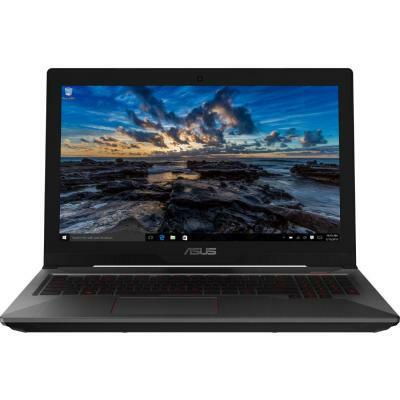 FX553VD-FY459T Ноутбук ASUS FX553VD (FX553VD-FY459T) 15.6', FullHD (1920 х 1080), IPS, Intel Core i5-7300HQ (2.5-3.5GHz), 16 ГБ, 1 ТБ, 128 ГБ, NVIDIA GeForce GTX 1050, 2 ГБ, DVD±RW, Bluetooth, Wi-Fi, LAN (RJ-45), Windows 10 Home, 4 cell, 2.5 кг, Black 12 мес. FX553VE-DM485 Ноутбук ASUS FX553VE (FX553VE-DM485) 15.6', FullHD (1920 х 1080), Intel Core i5-7300HQ (2.5-3.5GHz), 8 ГБ, отсутствует, 256 ГБ, NVIDIA GeForce GTX 1050 Ti, 4 ГБ, No ODD, Bluetooth, Wi-Fi, LAN (RJ-45), Endless OS, 4 cell, 2.5 кг, Black-Red 12 мес. 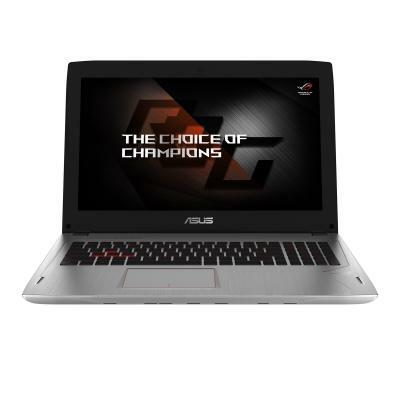 FX553VE-FY141T Ноутбук ASUS FX553VE (FX553VE-FY141T) 15.6', FullHD (1920 х 1080), IPS, Intel Core i5-7300HQ (2.5-3.5GHz), 16 ГБ, 1 ТБ, 128 ГБ, NVIDIA GeForce GTX 1050 Ti, 2 ГБ, DVD-SuperMulti, Bluetooth, Wi-Fi, Gigabit Ethernet, Windows 10 Home, 4 cell, 2 12 мес. GL502VM-FY203T Ноутбук ASUS GL502VM (GL502VM-FY203T) 15.6', FullHD (1920 х 1080), Intel Core i5-7300HQ, 16 ГБ, 1 ТБ, 128 ГБ, NVIDIA Geforce GTX 1060, 3 ГБ, No ODD, Bluetooth, Wi-Fi, Gigabit Ethernet, Windows 10 Home, 4 cell, 2.2 кг, Black 12 мес. GL503VD-FY076T Ноутбук ASUS GL503VD (GL503VD-FY076T) 15.6', FullHD (1920 х 1080), IPS, Intel Core i5-7300HQ (2.5-3.5GHz), 16 ГБ, 1 ТБ, 128 ГБ, NVIDIA GeForce GTX 1050, 4 ГБ, No ODD, Bluetooth, Wi-Fi, LAN (RJ-45), Windows 10, 4 cell, 2.5 кг, Black 12 мес. GL503VD-GZ072T Ноутбук ASUS GL503VD (GL503VD-GZ072T) 15.6', FullHD (1920 х 1080), IPS, Intel Core i5-7300HQ (2.5-3.5GHz), 16 ГБ, 1 ТБ, 128 ГБ, NVIDIA GeForce GTX 1050, 4 ГБ, No ODD, Bluetooth, Wi-Fi, Gigabit Ethernet, Windows 10, 4 cell, 2.5 кг, Black 12 мес. GL503VM-FY037T Ноутбук ASUS GL503VM (GL503VM-FY037T) 15.6', FullHD (1920 х 1080), IPS, Intel Core i5-7300HQ (2.5-3.5GHz), 16 ГБ, 1 ТБ, 128 ГБ, NVIDIA Geforce GTX 1060, 6 ГБ, No ODD, Bluetooth, Wi-Fi, Gigabit Ethernet, Windows 10 Home, 4 cell, 2.5 кг, Blac 12 мес. GL503VM-FY047T Ноутбук ASUS GL503VM (GL503VM-FY047T) 15.6', FullHD (1920 х 1080), Intel Core i5-7300HQ (2.5-3.5GHz), 8 ГБ, 1 ТБ, NVIDIA Geforce GTX 1060, 3 ГБ, No ODD, Bluetooth, Wi-Fi, LAN (RJ-45), Windows 10 Home, 4 cell, 2.5 кг, Black 12 мес. 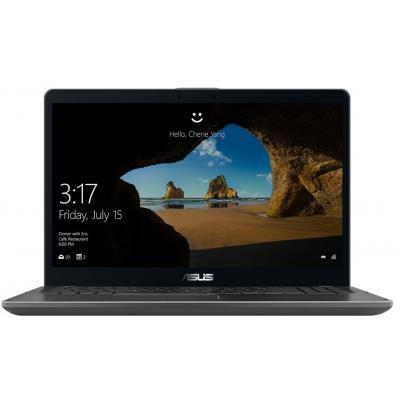 GL503VM-GZ039T Ноутбук ASUS GL503VM (GL503VM-GZ039T) 15.6', FullHD (1920 х 1080), IPS, Intel Core i5-7300HQ (2.5-3.5GHz), 16 ГБ, 1 ТБ, 128 ГБ, NVIDIA Geforce GTX 1060, 6 ГБ, No ODD, Bluetooth, Wi-Fi, LAN (RJ-45), Windows 10, 4 cell, 2.5 кг, Black 12 мес. 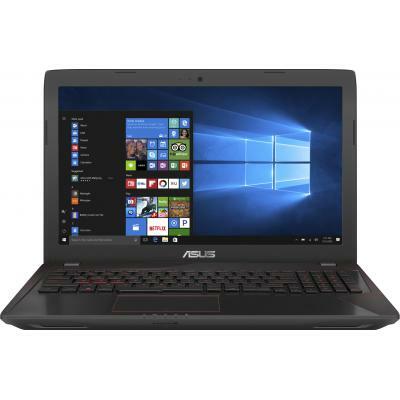 GL553VD-FY461T Ноутбук ASUS GL553VD (GL553VD-FY461T) 15.6', FullHD (1920 х 1080), IPS, Intel Core i5-7300HQ (2.5-3.5GHz), 16 ГБ, 1 ТБ, 256 ГБ, NVIDIA GeForce GTX 1050, 4 ГБ, DVD±RW, Bluetooth, Wi-Fi, LAN (RJ-45), Windows 10, 4 cell, 2.5 кг, Black 12 мес. Ноутбук ASUS K551LA Grey (K551LA-XX147D) Intel Core i3-4010M-1.7/4.0 Gb/500Gb/DVD-RW/15.6 HD LED/Intel HD Graphics 4400/LAN/WiFi/BT/CR/WC/DOS/2.5 кг. 24 мес. 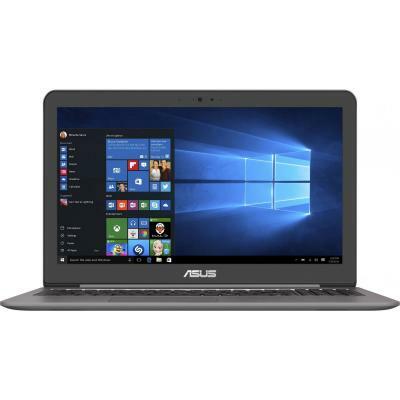 Ноутбук ASUS K551LA Grey (K551LA-XX148D) Intel Core i5-4200M-2.6/4.0 Gb/750Gb/DVD-RW/15.6 HD LED/Intel HD Graphics 4400/LAN/WiFi/BT/CR/WC/DOS/2.5 кг. 24 мес. 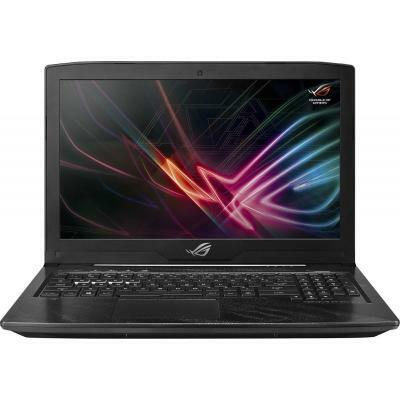 Ноутбук Asus K56CB-XX508 (Pentium 2117U (1.8GHz), 6GB DDR3 1600, 500GB, DVD-SM, 15.6" HD LED, GeForce GT740M 2GB, VGA, HDMI, GLAN, WiFi b/g/n, BT4.0, WC HD, 1xUSB3.0, 2xUSB2.0, CR SD, 4cell 2950mAH, 2.3kg, Black/Silver) (K56CB-XX508) мес. Ноутбук ASUS N550LF Grey (N550LF-XO068H) Intel Core i5-4200U-1.6/4.0 Gb/750Gb/DVD-RW/15.6" HD LED/GF GT 745M 2.0Gb/WiFi/BT/CR/WC/Win. 8/2.6 кг. 24 мес. N552VW-FI129T Ноутбук ASUS N552VW (N552VW-FI129T) 15.6', 4К (3840x2160), IPS, Intel Core i5 6300HQ (2.3 ГГц), 16 ГБ, 1 ТБ, 128 ГБ, NVIDIA GeForce GTX 960M, 4 ГБ, DVD-SMulti, Bluetooth, Wi-Fi, Gigabit Ethernet, Windows 10 Home, 4 cell, 2.5 кг, Silver 12 мес. 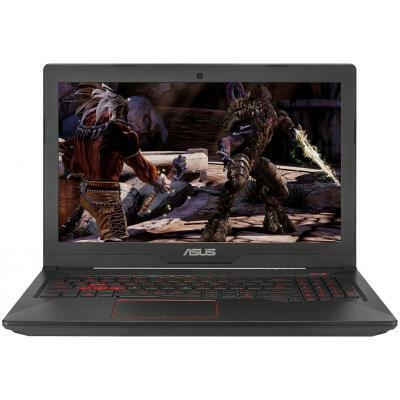 N580VD-DM441 Ноутбук ASUS N580VD (N580VD-DM441) 15.6', FullHD (1920 х 1080), Intel Core i5-7300HQ (2.5-3.5GHz), 8 ГБ, 1 ТБ, 128 ГБ, NVIDIA GeForce GTX 1050, 4 ГБ, No ODD, Bluetooth, Wi-Fi, LAN (RJ-45), Endless OS, 3 cell, 2.0 кг, Grey 12 мес. N580VD-FY440 Ноутбук ASUS N580VD (N580VD-FY440) 15.6', FullHD (1920 х 1080), IPS, Intel Core i5-7300HQ (2.5-3.5GHz), 8 ГБ, 1 ТБ, 128 ГБ, NVIDIA GeForce GTX 1050, 4 ГБ, No ODD, Bluetooth, Wi-Fi, LAN (RJ-45), Endless OS, 3 cell, 2.0 кг, Gold 12 мес. N580VD-FY440T Ноутбук ASUS N580VD (N580VD-FY440T) 15.6', FullHD (1920 х 1080), IPS, Intel Core i5-7300HQ (2.5-3.5GHz), 8 ГБ, 1 ТБ, 128 ГБ, NVIDIA GeForce GTX 1050, 4 ГБ, No ODD, Bluetooth, Wi-Fi, LAN (RJ-45), Windows 10, 3 cell, 2.0 кг, Gold 12 мес. 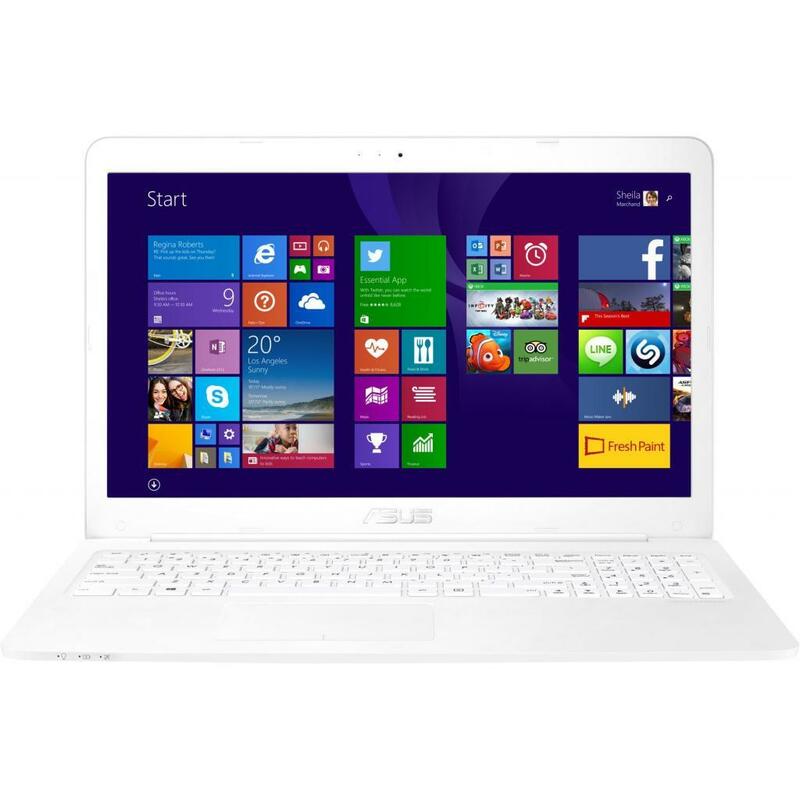 N580VN-FY063T Ноутбук ASUS N580VN (N580VN-FY063T) 15.6', FullHD (1920 х 1080), IPS, Intel Core i5-7300HQ (2.5-3.5GHz), 12 ГБ, 1 ТБ, 128 ГБ, NVIDIA GeForce MX150, 2 ГБ, No ODD, Bluetooth, Wi-Fi, LAN (RJ-45), Windows 10, 3 cell, 2.0 кг, Gold 12 мес. 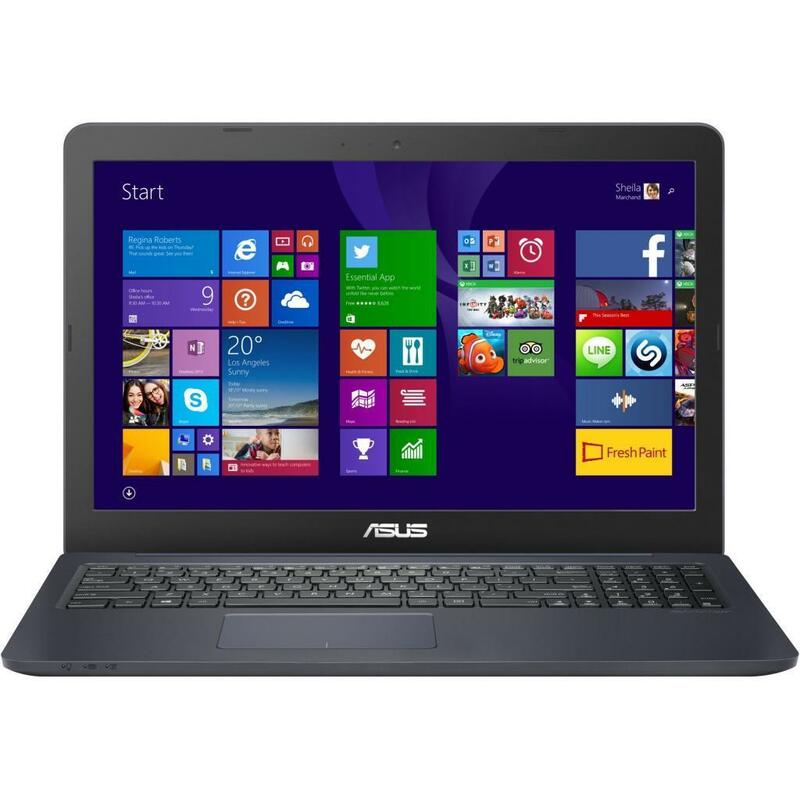 N580VN-FY064 Ноутбук ASUS N580VN (N580VN-FY064) 15.6', FullHD (1920 х 1080), IPS, Intel Core i5-7300HQ (2.5-3.5GHz), 8 ГБ, 1 ТБ, 128 ГБ, NVIDIA GeForce MX150, 2 ГБ, No ODD, Bluetooth, Wi-Fi, LAN (RJ-45), Endless OS, 3 cell, 2.0 кг, Gold 12 мес. P2540UA-XO0155R Ноутбук ASUS P2540UA (P2540UA-XO0155R) 15.6', HD (1366 х 768), Intel Core i3 7100U (2.4 ГГц), 4 ГБ, 500 ГБ, Intel HD Graphics 620, DVD±RW, Bluetooth, Wi-Fi, Gigabit Ethernet, Windows 10 Pro, 6 cell, 2.17 кг, Black 12 мес. R540UP-DM216D Ноутбук ASUS R540UP (R540UP-DM216D) 15.6', FullHD (1920 х 1080), Intel Core i5 7200U (2.5-3.1 ГГц), 12 ГБ, 1 ТБ, AMD Radeon R5 M420, 2 ГБ, DVD±RW, Bluetooth, Wi-Fi, LAN (RJ-45), DOS, 3 cell, 2.0 кг, Chocolate black 12 мес. S510UN-BQ164T Ноутбук ASUS VivoBook S15 (S510UN-BQ164T) 15.6', FullHD (1920 х 1080), IPS, Intel Core i5 8250U (1.6 - 3.4 ГГц), 8 ГБ, 1 ТБ, 256 ГБ, NVIDIA GeForce MX150, 2 ГБ, No ODD, Bluetooth, Wi-Fi, Windows 10, 3 cell, 1.5 кг, Gold 12 мес. S510UN-BQ165T Ноутбук ASUS VivoBook S15 (S510UN-BQ165T) 15.6', FullHD (1920 х 1080), IPS, Intel Core i5 8250U (1.6 - 3.4 ГГц), 12 ГБ, 1 ТБ, 256 ГБ, NVIDIA GeForce MX150, 2 ГБ, No ODD, Bluetooth, Wi-Fi, Windows 10, 3 cell, 1.5 кг, Gold 12 мес. 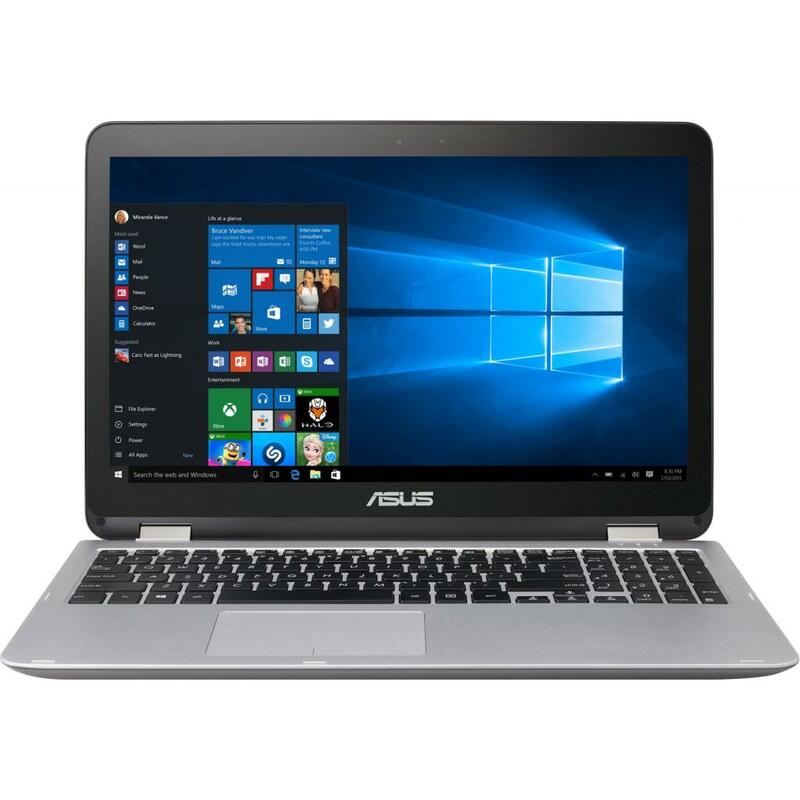 S510UN-BQ167T Ноутбук ASUS VivoBook S15 (S510UN-BQ167T) 15.6', FullHD (1920 х 1080), IPS, Intel Core i5 8250U (1.6 - 3.4 ГГц), 8 ГБ, 1 ТБ, 256 ГБ, NVIDIA GeForce MX150, 2 ГБ, No ODD, Bluetooth, Wi-Fi, Windows 10, 3 cell, 1.5 кг, Grey 12 мес. Ноутбук Asus Ultrabook S56CB-XX119D (Core i3-3217U (1.8GHz), HM76, 4GB DDR3 1600, 500GB + 24GB SSD, DVD-SM, 15.6" HD LED, GeForce GT740M 2GB, VGA, HDMI, GLAN, WiFi b/g/n, BT4.0, WC HD, 1xUSB3.0, 2xUSB2.0, CR SD, 4cell 2950mAh, 2.3kg, Black/Silver) (S56CB-XX119D) мес. UX501VW-GE005R Ноутбук ASUS Zenbook UX501VW (UX501VW-GE005R) 15.6', 4К (3840x2160), IPS, Intel Core i7 6700HQ (2.6 - 3.5 ГГц), 16 ГБ, отсутствует, 512 ГБ, NVIDIA GeForce GTX 960M, 4 ГБ, No ODD, Bluetooth, Wi-Fi, Windows 10 Pro, 2.0 кг, Silver 12 мес. 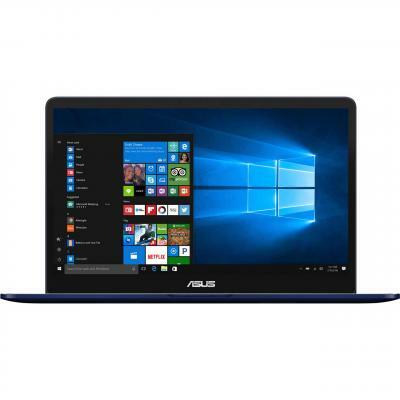 UX510UW-CN051T Ноутбук ASUS Zenbook UX510UW (UX510UW-CN051T) 15.6', FullHD (1920 х 1080), IPS, Intel Core i7-7500U (2.7-3.5GHz), 16 ГБ, 1 ТБ, 256 ГБ, NVIDIA GeForce GTX 960M, 4 ГБ, No ODD, Bluetooth, Wi-Fi, LAN (RJ-45), Windows 10, 3 cell, 2.0 кг, Grey 12 мес. UX510UW-CN052R Ноутбук ASUS Zenbook UX510UW (UX510UW-CN052R) 15.6', FullHD (1920 х 1080), IPS, Intel Core i5 7200U (2.5-3.1 ГГц), 12 ГБ, 1 ТБ, 256 ГБ, NVIDIA GeForce GTX 960M, 2 ГБ, No ODD, Bluetooth, Wi-Fi, Windows 10 Pro, 3 cell, 2.0 кг, Grey 12 мес. UX510UW-CN052T Ноутбук ASUS Zenbook UX510UW (UX510UW-CN052T) 15.6', FullHD (1920 х 1080), IPS, Intel Core i5 7200U (2.5-3.1 ГГц), 12 ГБ, 1 ТБ, 256 ГБ, NVIDIA GeForce GTX 960M, 2 ГБ, No ODD, Bluetooth, Wi-Fi, Windows 10, 3 cell, 2.0 кг, Grey 12 мес. UX510UW-FI026R Ноутбук ASUS Zenbook UX510UW (UX510UW-FI026R) 15.6', 4К (3840x2160), IPS, Intel Core i7 6500U (2.5 - 3.1 ГГц), 16 ГБ, 1 ТБ, 256 ГБ, NVIDIA GeForce GTX 960M, 4 ГБ, No ODD, Bluetooth, Wi-Fi, Windows 10 Pro, 3 cell, 2.0 кг, Grey 12 мес. UX510UW-FI050T Ноутбук ASUS Zenbook UX510UW (UX510UW-FI050T) 15.6', 4К (3840x2160), IPS, Intel Core i7-7500U (2.7-3.5GHz), 16 ГБ, 1 ТБ, 256 ГБ, NVIDIA GeForce GTX 960M, 4 ГБ, No ODD, Bluetooth, Wi-Fi, Windows 10, 3 cell, 2.0 кг, Grey 12 мес. 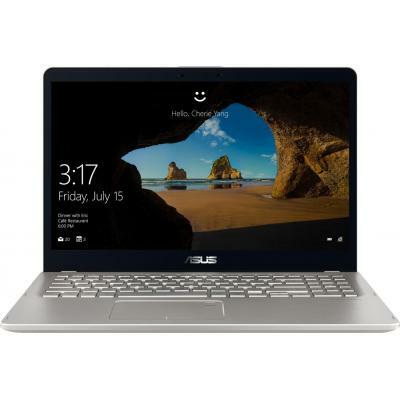 UX530UX-FY033R Ноутбук ASUS Zenbook UX530UX (UX530UX-FY033R) 15.6', FullHD (1920 х 1080), IPS, Intel Core i7-7500U (2.7-3.5GHz), 16 ГБ, отсутствует, 512 ГБ, NVIDIA GeForce GTX 950M, 2 ГБ, No ODD, Bluetooth, Wi-Fi, Windows 10 Pro, 3 cell, 1.6 кг, Grey 12 мес. UX530UX-FY034R Ноутбук ASUS Zenbook UX530UX (UX530UX-FY034R) 15.6', FullHD (1920 х 1080), IPS, Intel Core i5 7200U (2.5-3.1 ГГц), 8 ГБ, отсутствует, 256 ГБ, NVIDIA GeForce GTX 950M, 2 ГБ, No ODD, Bluetooth, Wi-Fi, Windows 10 Pro, 3 cell, 1.6 кг, Grey 12 мес. UX530UX-FY034T Ноутбук ASUS Zenbook UX530UX (UX530UX-FY034T) 15.6', FullHD (1920 х 1080), IPS, Intel Core i5 7200U (2.5-3.1 ГГц), 8 ГБ, отсутствует, 256 ГБ, NVIDIA GeForce GTX 950M, 2 ГБ, No ODD, Bluetooth, Wi-Fi, Windows 10, 1.6 кг, Grey 12 мес. 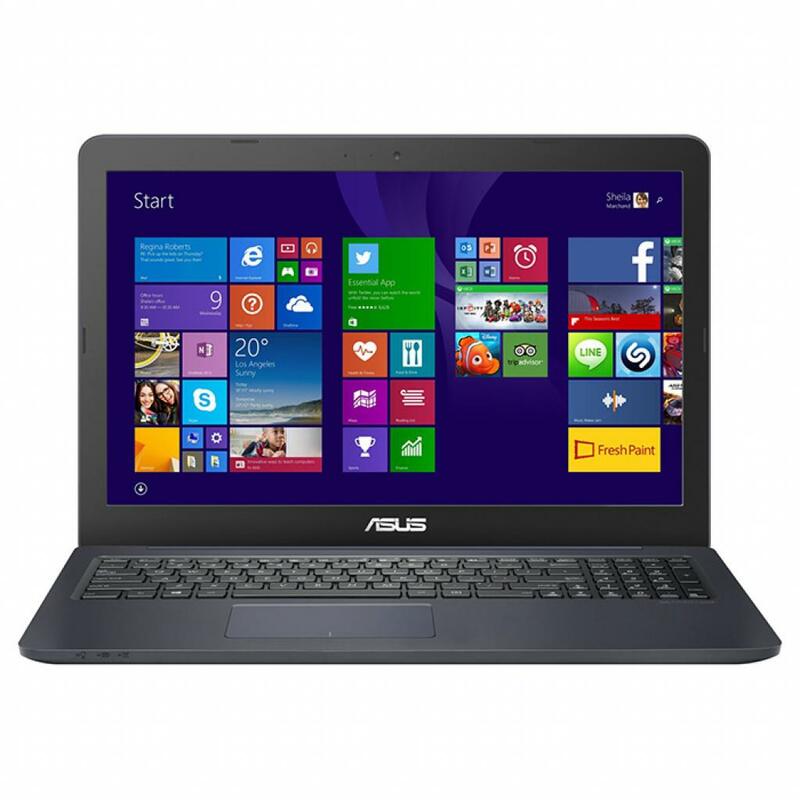 UX550VD-BN071T Ноутбук ASUS Zenbook UX550VD (UX550VD-BN071T) 15.6', FullHD (1920 х 1080), IPS, Intel Core i7-7700HQ (2.8 - 3.8 ГГц), 16 ГБ, отсутствует, 512 ГБ, NVIDIA GeForce GTX 1050, 4 ГБ, No ODD, Bluetooth, Wi-Fi, Windows 10, 8 cell, 1.6 кг, Black 12 мес. 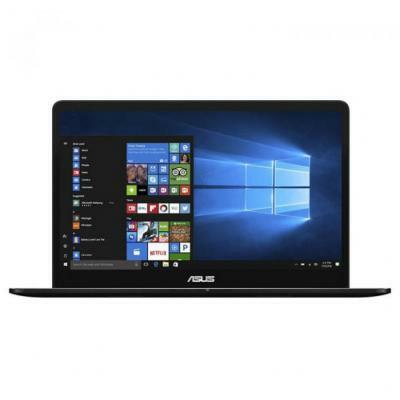 UX550VD-BN072T Ноутбук ASUS Zenbook UX550VD (UX550VD-BN072T) 15.6', FullHD (1920 х 1080), IPS, Intel Core i5-7300HQ (2.5-3.5GHz), 8 ГБ, отсутствует, 256 ГБ, NVIDIA GeForce GTX 1050, 4 ГБ, No ODD, Bluetooth, Wi-Fi, Windows 10, 8 cell, 1.8 кг, Black 12 мес. UX550VD-BN090R Ноутбук ASUS Zenbook UX550VD (UX550VD-BN090R) 15.6', FullHD (1920 х 1080), IPS, Intel Core i5-7300HQ (2.5-3.5GHz), 16 ГБ, отсутствует, 256 ГБ, NVIDIA GeForce GTX 1050, 4 ГБ, No ODD, Bluetooth, Wi-Fi, Windows 10 Pro, 8 cell, 1.8 кг, Black 12 мес. UX550VE-BN041T Ноутбук ASUS Zenbook UX550VE (UX550VE-BN041T) 15.6', FullHD (1920 х 1080), IPS, Intel Core i7-7700HQ (2.8 - 3.8 ГГц), 16 ГБ, отсутствует, 512 ГБ, NVIDIA GeForce GTX 1050 Ti, 4 ГБ, No ODD, Bluetooth, Wi-Fi, Windows 10, 8 cell, 1.6 кг, Blue 12 мес. UX550VE-BN042T Ноутбук ASUS Zenbook UX550VE (UX550VE-BN042T) 15.6', FullHD (1920 х 1080), IPS, Intel Core i5-7300HQ (2.5-3.5GHz), 8 ГБ, отсутствует, 256 ГБ, NVIDIA GeForce GTX 1050 Ti, 4 ГБ, No ODD, Bluetooth, Wi-Fi, Windows 10, 8 cell, 1.8 кг, Blue 12 мес. 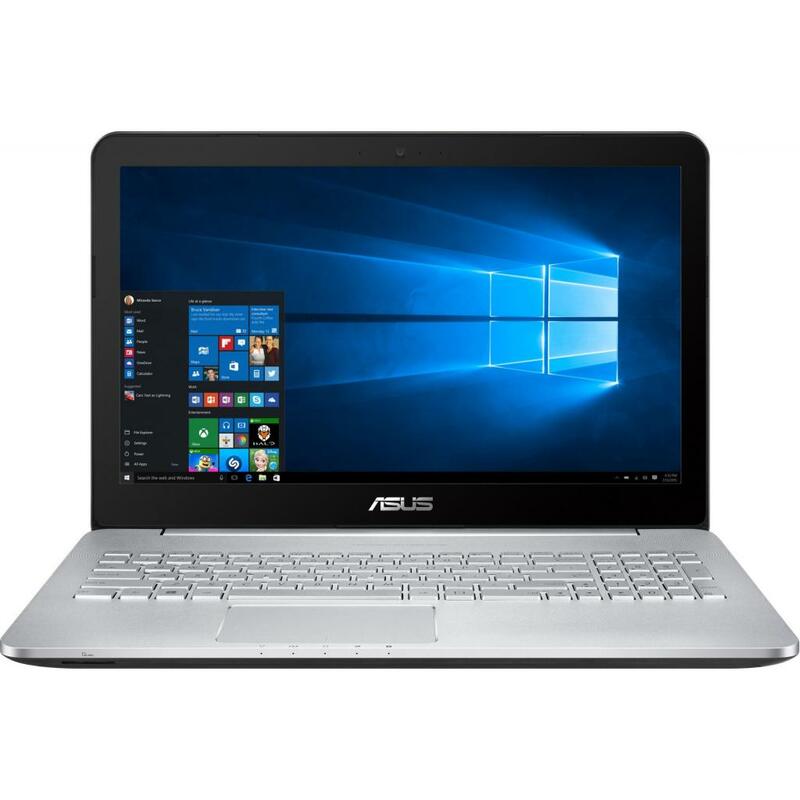 UX550VE-BN043T Ноутбук ASUS Zenbook UX550VE (UX550VE-BN043T) 15.6', FullHD (1920 х 1080), IPS, Intel Core i7-7700HQ (2.8 - 3.8 ГГц), 16 ГБ, отсутствует, 1 ТБ, NVIDIA GeForce GTX 1050 Ti, 4 ГБ, No ODD, Bluetooth, Wi-Fi, Windows 10, 8 cell, 1.6 кг, Black 12 мес. UX550VE-BN044T Ноутбук ASUS Zenbook UX550VE (UX550VE-BN044T) 15.6', FullHD (1920 х 1080), IPS, Intel Core i7-7700HQ (2.8 - 3.8 ГГц), 16 ГБ, отсутствует, 512 ГБ, NVIDIA GeForce GTX 1050 Ti, 4 ГБ, No ODD, Bluetooth, Wi-Fi, Windows 10, 8 cell, 1.8 кг, Black 12 мес. UX550VE-BN045T Ноутбук ASUS Zenbook UX550VE (UX550VE-BN045T) 15.6', FullHD (1920 х 1080), IPS, Intel Core i5-7300HQ (2.5-3.5GHz), 8 ГБ, отсутствует, 256 ГБ, NVIDIA GeForce GTX 1050 Ti, 4 ГБ, No ODD, Bluetooth, Wi-Fi, Windows 10, 8 cell, 1.8 кг, Black 12 мес. UX561UD-BO006R Ноутбук ASUS Zenbook UX561UD (UX561UD-BO006R) 15.6', FullHD (1920 х 1080), IPS, Intel Core i7 8550U (1.8 - 4.0 ГГц), 16 ГБ, отсутствует, 512 ГБ, NVIDIA GeForce GTX 1050, 2 ГБ, No ODD, Bluetooth, Wi-Fi, Windows 10 Pro, 3 cell, 2.1 кг, Dark G 12 мес. UX561UN-BO006R Ноутбук ASUS Zenbook UX561UN (UX561UN-BO006R) 15.6', FullHD (1920 х 1080), IPS, Intel Core i5 8250U (1.6 - 3.4 ГГц), 12 ГБ, 1 ТБ, 128 ГБ, NVIDIA GeForce MX150, 2 ГБ, No ODD, Bluetooth, Wi-Fi, Windows 10 Pro, 3 cell, 1.9 кг, Silver 12 мес. UX561UN-BO006T Ноутбук ASUS Zenbook UX561UN (UX561UN-BO006T) 15.6', FullHD (1920 х 1080), IPS, Intel Core i5 8250U (1.6 - 3.4 ГГц), 12 ГБ, 1 ТБ, 128 ГБ, NVIDIA GeForce MX150, 2 ГБ, No ODD, Bluetooth, Wi-Fi, Windows 10, 3 cell, 1.9 кг, Silver 12 мес. 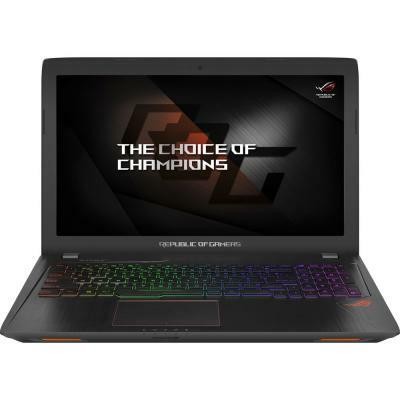 X505BA-BR016 Ноутбук ASUS X505BA (X505BA-BR016) 15.6', HD (1366 х 768), AMD A9-9420, 4 ГБ, 1 ТБ, AMD Radeon R4, No ODD, Bluetooth, Wi-Fi, LAN (RJ-45), Endless OS, 3 cell, 1.7 кг, Dark Grey 12 мес. X505BA-BR018 Ноутбук ASUS X505BA (X505BA-BR018) 15.6', HD (1366 х 768), AMD E2-9000, 4 ГБ, 500 ГБ, AMD Radeon R2, No ODD, Bluetooth, Wi-Fi, LAN (RJ-45), Endless OS, 3 cell, 1.7 кг, Dark Grey 12 мес. 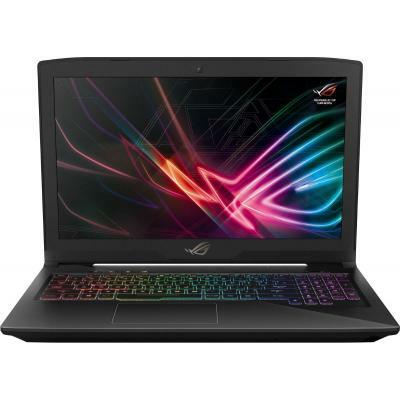 X505BA-BR022 Ноутбук ASUS X505BA (X505BA-BR022) 15.6', HD (1366 х 768), AMD E2-9000, 4 ГБ, 500 ГБ, AMD Radeon R2, No ODD, Bluetooth, Wi-Fi, LAN (RJ-45), Endless OS, 3 cell, 1.7 кг, Gold 12 мес. 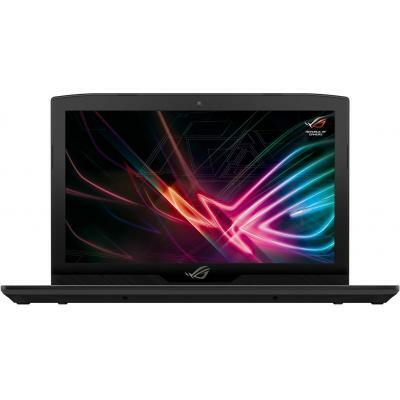 X505BA-BR062 Ноутбук ASUS X505BA (X505BA-BR062) 15.6', HD (1366 х 768), AMD A9-9420, 4 ГБ, 1 ТБ, AMD Radeon R4, No ODD, Bluetooth, Wi-Fi, LAN (RJ-45), Endless OS, 3 cell, 1.7 кг, Gold 12 мес. 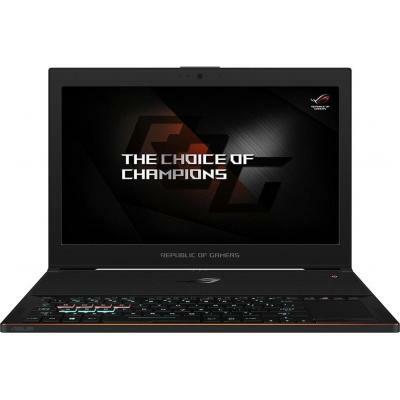 X505BP-BR011 Ноутбук ASUS X505BP (X505BP-BR011) 15.6', HD (1366 х 768), AMD E2-9000, 4 ГБ, 500 ГБ, AMD Radeon R5 M420, 2 ГБ, No ODD, Bluetooth, Wi-Fi, LAN (RJ-45), Endless OS, 3 cell, 1.7 кг, Dark Grey 12 мес. 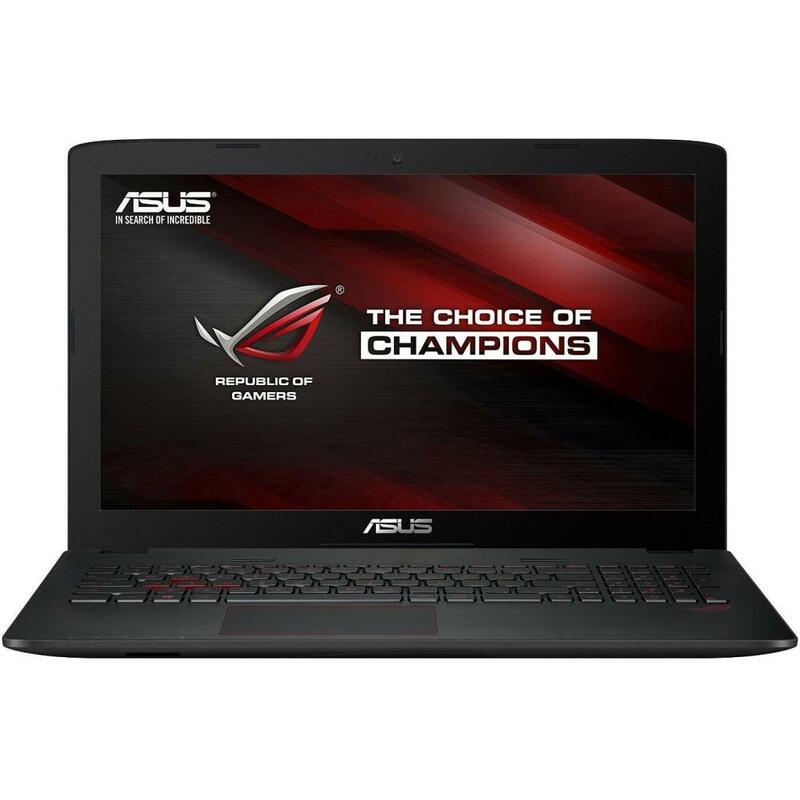 X505BP-BR013 Ноутбук ASUS X505BP (X505BP-BR013) 15.6', HD (1366 х 768), AMD A9-9420, 8 ГБ, 1 ТБ, AMD Radeon R5 M420, 2 ГБ, No ODD, Bluetooth, Wi-Fi, LAN (RJ-45), Endless OS, 3 cell, 1.7 кг, Dark Grey 12 мес. 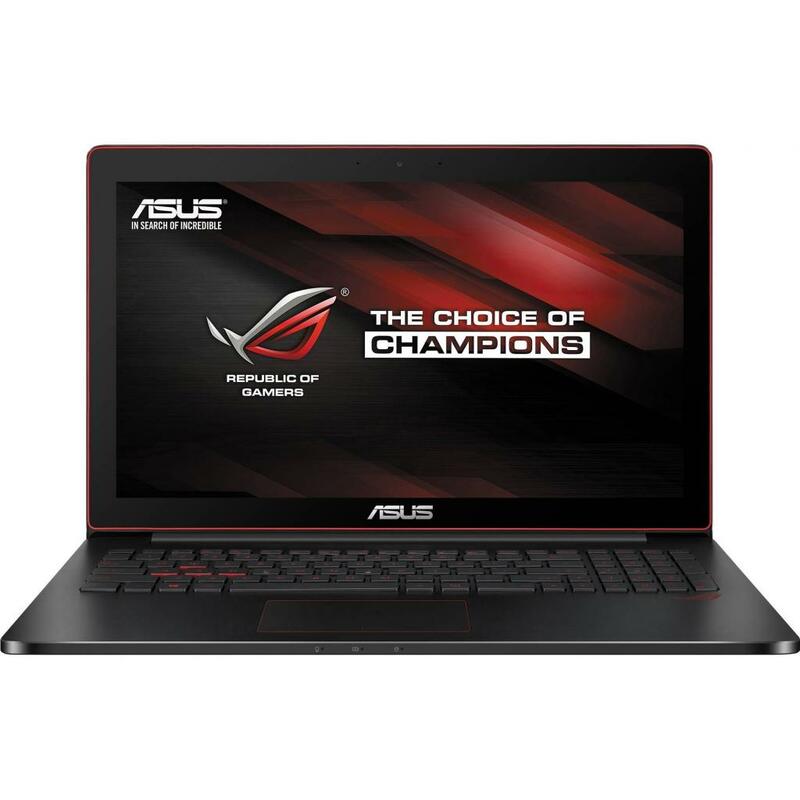 X505BP-BR019 Ноутбук ASUS X505BP (X505BP-BR019) 15.6', HD (1366 х 768), AMD A9-9420, 4 ГБ, 1 ТБ, AMD Radeon R5 M420, 2 ГБ, No ODD, Bluetooth, Wi-Fi, LAN (RJ-45), Endless OS, 3 cell, 1.7 кг, Dark Grey 12 мес. 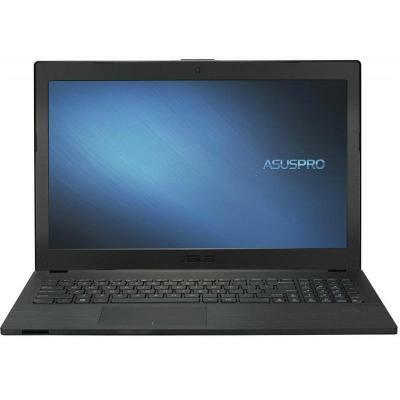 X505BP-BR041 Ноутбук ASUS X505BP (X505BP-BR041) 15.6', HD (1366 х 768), AMD E2-9000, 4 ГБ, 500 ГБ, AMD Radeon R5 M420, 2 ГБ, No ODD, Bluetooth, Wi-Fi, LAN (RJ-45), Endless OS, 3 cell, 1.7 кг, Gold 12 мес.